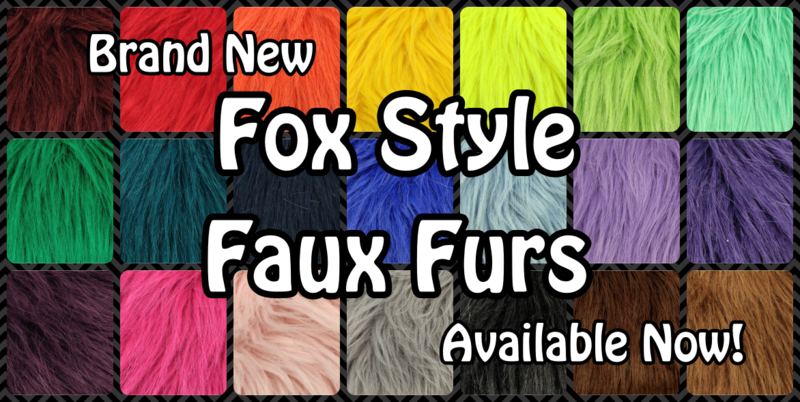 New Style Just In - Fox Faux Furs! We've got some very exciting news! We have just received a new style from one of our suppliers. This style is called fox faux fur! It is reminiscent of our luxury fox fur (coarse, realistic texture with guard hairs), but isn't as dense or quite as soft as luxury fox. It comes in a 2" pile with a more realistic texture than our standard 2" luxury shag furs. These colors are now in stock and available to order! These styles are also reorderable, so they should be getting restocked as we're able to. As always, swatches are available for $1 each with free shipping at this link. Thanks for checking out the new offerings! We have even more new colors and styles in the works, so keep checking back for further updates!